Quickly turn fresh oranges, grapefruit, lemons, or limes into delicious juice with the Avamix CJ180 electric citrus juicer. If you're starting to offer freshly made fruit juice or lemonade, this juicer is a great choice! The CJ180 juicer comes with three different sized reamers for small, medium, and large citrus fruits. The durable reamers ensure long-lasting use, while their simple designs make them easy to install into the juicer. The CJ180 features a simple on/off switch for easy operation and an 1800 RPM quiet motor to keep pace with busy demands. The citrus juicer has a 9 3/4" high spout clearance to accommodate a variety of pitchers, glasses, or blender jars. There is even a pulp guard so you can be sure that the juice is finely strained and ready to use. This juicer also features a splash guard to keep the juice and pulp contained when the unit is being operated. Thanks to its heavy-duty cast aluminum construction and acid-resistant finish, you can be sure this juicer will last a long time. Squeeze juice more efficiently and easily than hand squeezers or manual juicers with the Avamix CJ180 electric citrus juicer! Juice fruits and vegetables with ease with an Avamix electric citrus juicer! Three different reamers allow this juicer to accommodate citrus fruits of all sizes, and the high spout clearance, user-friendly controls, and acid-resistant aluminum base make this a perfect fit for any cafe, restaurant, or bar. Watch this short video to find out more! 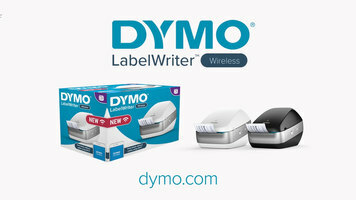 Check out the video to discover the many features and applications of the new DYMO LabelWriter Wireless printer. With the Choice 4-way apron, you'll always have a clean surface to wipe off your hands, even half-way through baking bread, cookies, or fresh pizza crusts! The 4-way design enables you to refold the apron several times, each time creating a new place to wipe your hands. 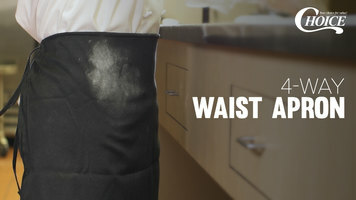 Watch how easy the 4-way apron is to wear, refold, and wear again! 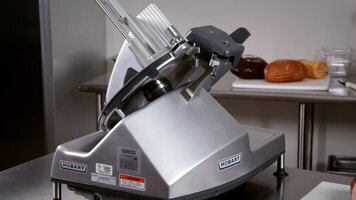 The Hobart HS series slicers are easy to use, simple to clean, and offer a variety of quality features. Watch this video to learn all about their advanced design!